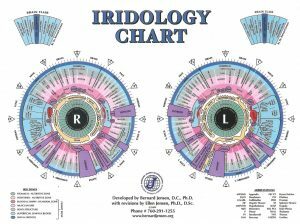 Iridology is a safe, useful assessment tool used to help address imbalances in the body. It is both an art and science which has been practiced since the 19th century. Iridology is not used for diagnosis of diseases, rather as a means of assessment for conditions and levels of health. It is the scientific analysis of patterns and structures in the iris of the eye which locates stages of inflammation in the body. The practitioner matches their observations to iris charts which divide the iris into many zones that correspond to specific parts of the human body. Iridology, in conjunction with supplying the body with nutrition, herbs and supplements can provide a plan for promoting wellness. It is an excellent system for preventive and integrative care. “Luisa has an extensive knowledge of iridology, vitamins and supplements along with nutrition.